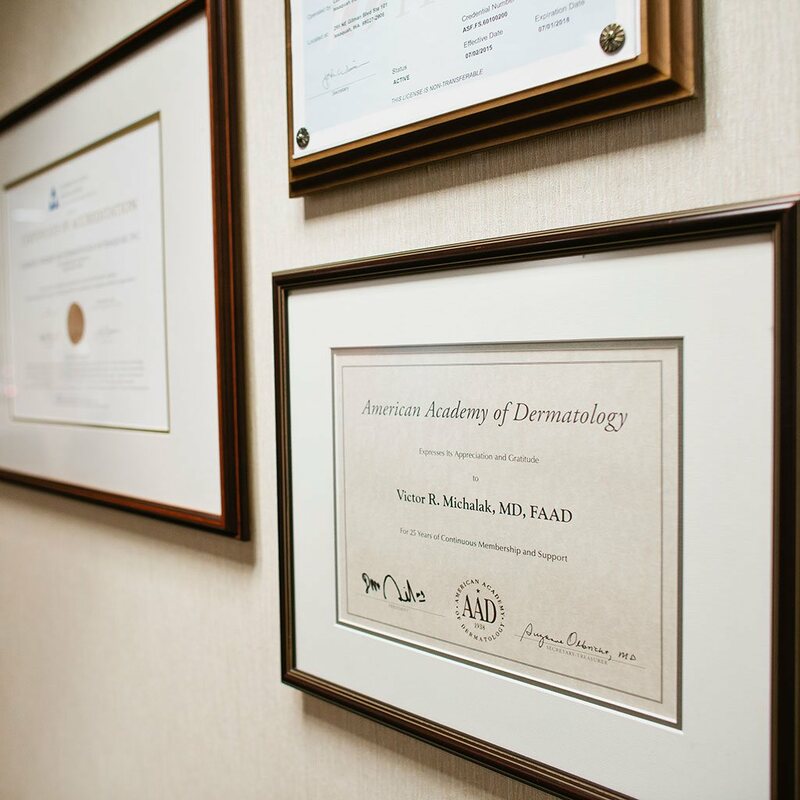 Our patients are provided a comprehensive clinical skin care management program based on medical information, education, rejuvenation, improvement, prevention and maintenance to assist in meeting skin care goals. We recommend a personal consultation prior to any treatment to determine the specific needs and condition of your skin. Your concerns and questions will be addressed and an individualized program will be compiled for your specific skin condition and needs. Under the direction and supervision of Dr. Victor R. Michalak, a board certified Dermatologic & Cosmetic Surgeon, we provide aesthetic services consisting of clinically proven safe and effective procedures and the use of products that are formulated to the higher pharmaceutical rather than cosmetic standards. All aesthetic procedures are individually customized to improve and enhance the appearance of the patient’s skin and target specific areas of concern. To address the health care needs of all patients, we are pleased to offer the option for same-day or next day appointments in some cases – ask us for more information!